NAMO is a clean and creative WordPress theme that is stylishly multipurpose and super responsive. With a modern spacious design, crisp typography and powerful suite of features Namo is ideal for creatives and corporates alike. 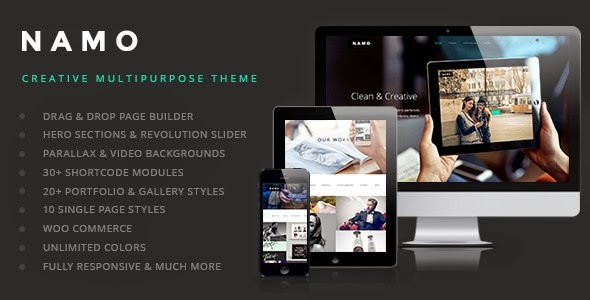 Item Reviewed: NAMO Creative Multipurpose WordPress Theme 9 out of 10 based on 10 ratings. 9 user reviews.